Blaine McFadden is found guilty of murder and sentenced to spend the rest of his life in a penal colony in the frozen wastelands of Edgeland. When all contact with the kingdom that condemned him mysteriously stops, Blaine must choose whether to stay in exile or venture back to see what has befallen the land he once called home. 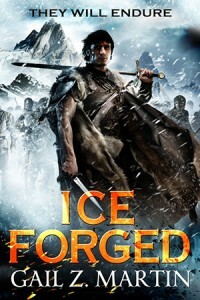 Having never encountered any of Martinâ€™s work before this, I wasnâ€™t sure what to expect from Ice Forged. It didnâ€™t take long for the smooth prose and flowing narrative to have me entranced by this first volume in The Ascendant Kingdoms Saga. There is something about the way Martin writes that seems to make the story flow without any bumps or jarring scene changes and itâ€™s a difficult book to put down. The setting of the frozen wastelands of Edgeland is atmospheric and the descriptions of the ice-cold weather is enough to make you shiver. The main plot, which I will avoid spoiling here, is an original, if apocalyptic one and even though this is obviously a scene-setting novel, there is enough going on to keep you interested. 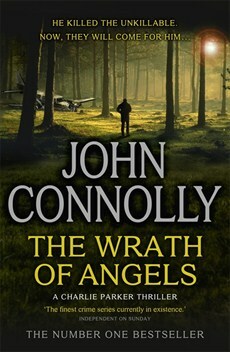 The main characters of McFadden and Connor are well written, if a little too similar, and their respective plot strands are interesting as they join and separate over the course of the novel. The supporting characters border on the two-dimensional but hopefully their personalities will be developed in later novels. I couldnâ€™t help groaning when the first vampire, or talishte as they are called in Ice Forged, made an appearance, but donâ€™t worry, these arenâ€™t the romantic, big-haired vampires that are currently saturating the horror genre, but actual vampires of old with actual stories and personalities of their own. Their presence in this novel is well portrayed and they support the story rather than dominate it. 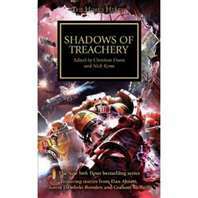 Ice Forged can be forgiven its position as setting the scene for later novels in the series due to the quality of the story and the superb style of writing that Martin delivers. This book has enough twists and original ideas to keep a readerâ€™s interest so if you want something a little different, you wonâ€™t go wrong with Ice Forged.